The voting for the Scottish Building Society SWPL Player of the Month award for March is open! To vote, click here. 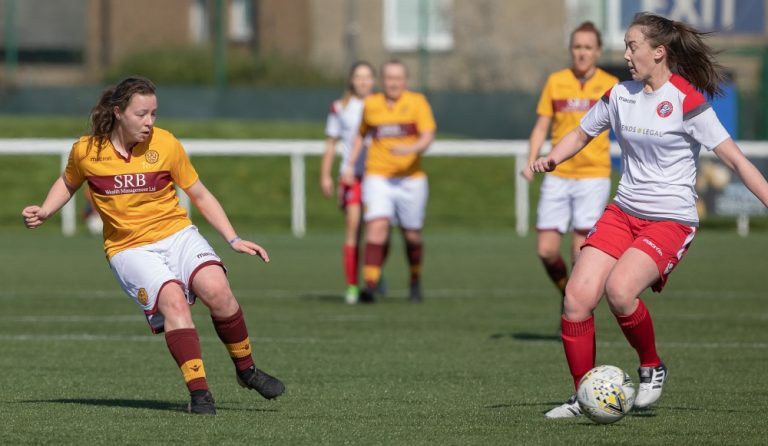 Hamilton Academical Assistant Manager, Bobby Watson, said: “Amy Anderson has had an outstanding March scoring three goals and picking up Player of the Match twice (chosen by match officials) in 4 games. “Her cool headed penalty and 2nd half performance saw Accies earn a late draw against Glasgow Girls while her clever finish capped off a fine goal against Hutchison Vale. Amy finished the month on a high dominating another game from start to finish against Dundee Utd where all her ability was on show in arguably her best performance of the season so far. Glasgow Girls Head Coach, John Doyle, said: “Since I have come to the club, Chloe has been a consistent performer and although she has a couple of injuries within this time, her attitude to get back and play is excellent. Hibernian Head Coach, Grant Scott, said: “I’m delighted to see Jamie-Lee receive this nomination in recognition of her recent performances. Jamie has been in our squad for a full year now and has evolved into one of the team’s major players at a fairly young age. “Jamie-Lee constantly strives to impact games and puts an incredible amount of work into her game on the training pitch. Jamie’s fast paced, direct style is a joy to watch when she’s in full flow but the work she does for the team off the ball doesn’t go unnoticed either. She is very strong and brave on the pitch and plays with her heart on her sleeve and a smile on her face. The Celtic Women’s Captain has had another strong month in the 2019 season. She helped her side to go unbeaten in March, winning twice and drawing once which included a 4-1 away win in the Old Firm derby. It was this match which was perhaps a stand-out for Clark in midfield, scoring the second goal of the match and providing the assist for the opener. Playing either in the middle of midfield or defence, Clark has helped her side to keep a strong defensive record. They’ve only conceded twice, both goals ending as consolation for their opponents in comfortable victories.